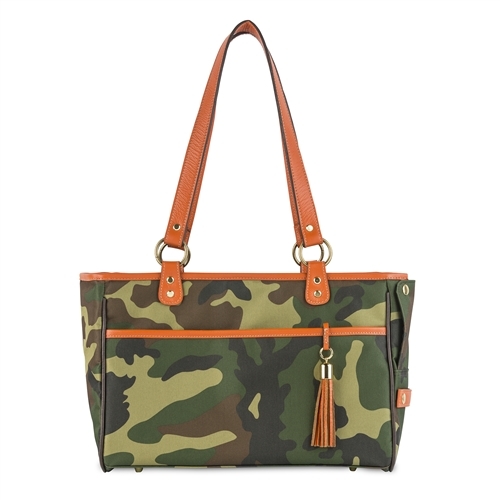 Our camouflage tote is brand new at Petote! 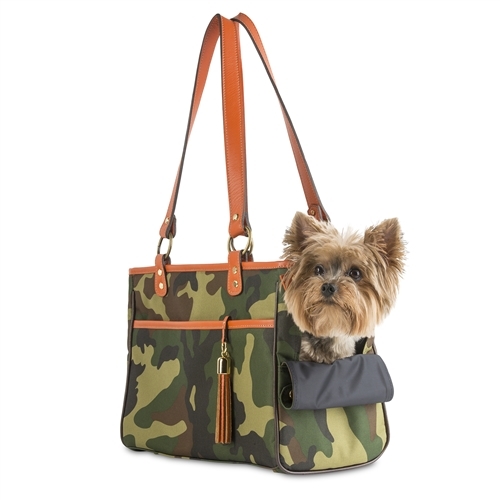 Tote your dog around in style and comfort in our newest soft-sided carrier by Petote. 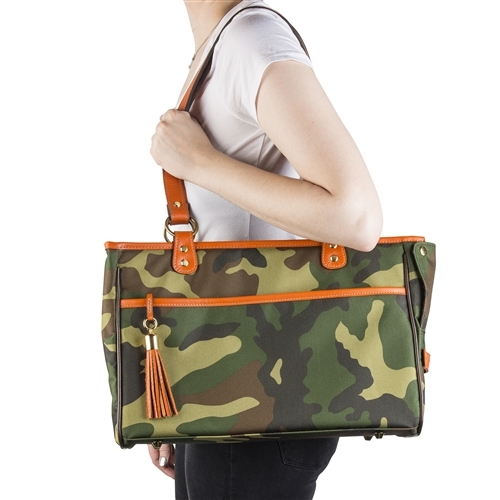 Made with stylish and durable camouflage print fabric and soft orange leather trim. This lightweight pet tote features tassel detail, zippered private outside pocket and inside private pocket. Open top for easy access and mesh top for extra ventilation. Removable inside fur bedding, faux fur headrest, nylon lining for easy cleaning and safety adjustable leash hook. Weight capacity 10-12 lbs. Camo Tote Dimensions: 15.5”L X 7.5”W X 10”H. Made in the USA.